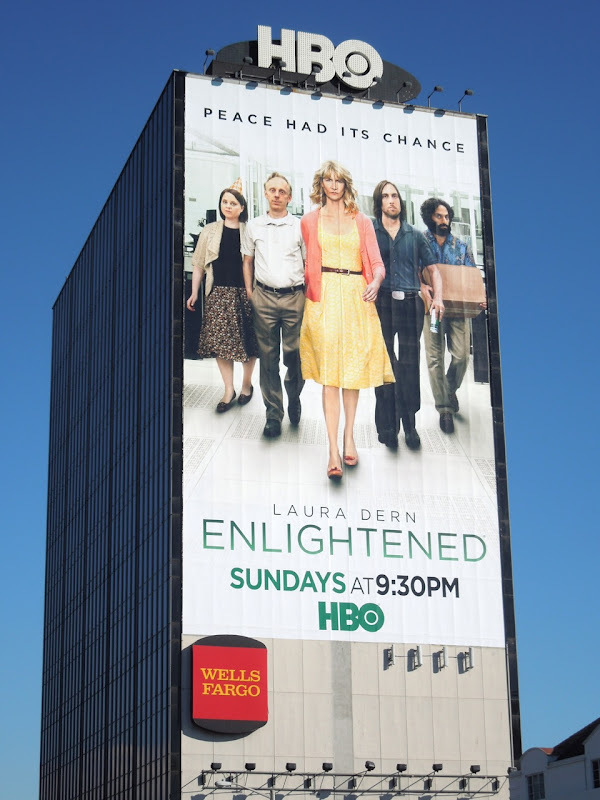 Laura Dern is back as 'Amy Jellicoe' and from the looks of things is determined to take on her bosses in the second season of Enlightened. 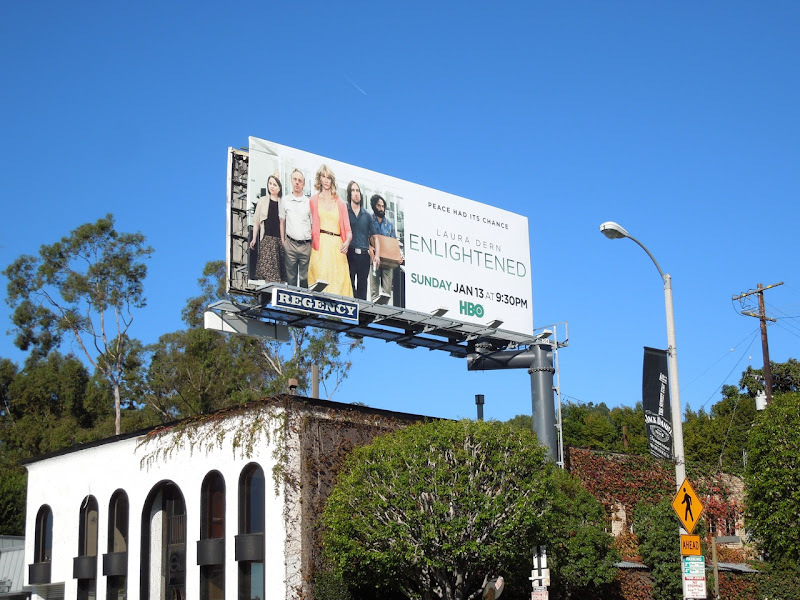 After surviving a nervous breakdown and a philosophical reawakening, she's ready to make some serious changes this season. 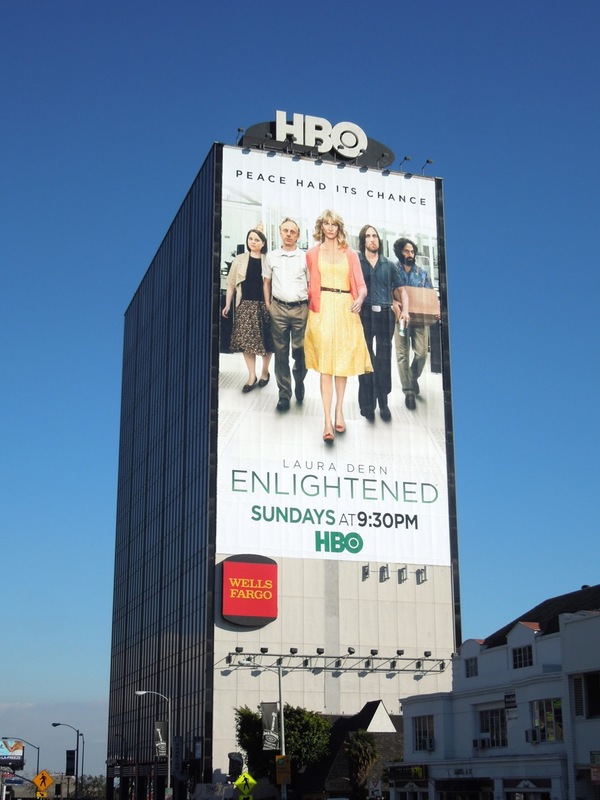 This season two billboard for the HBO show was snapped along Sunset Boulevard on December 15, 2012. 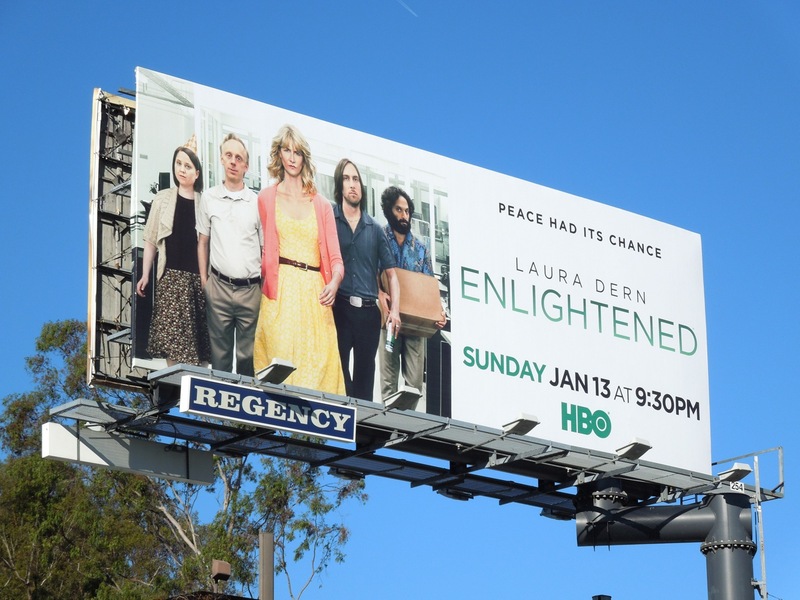 If you're a fan of the series, be sure to also check out the inaugural season billboards for Enlightened, which showed a slightly more distraught leading lady. 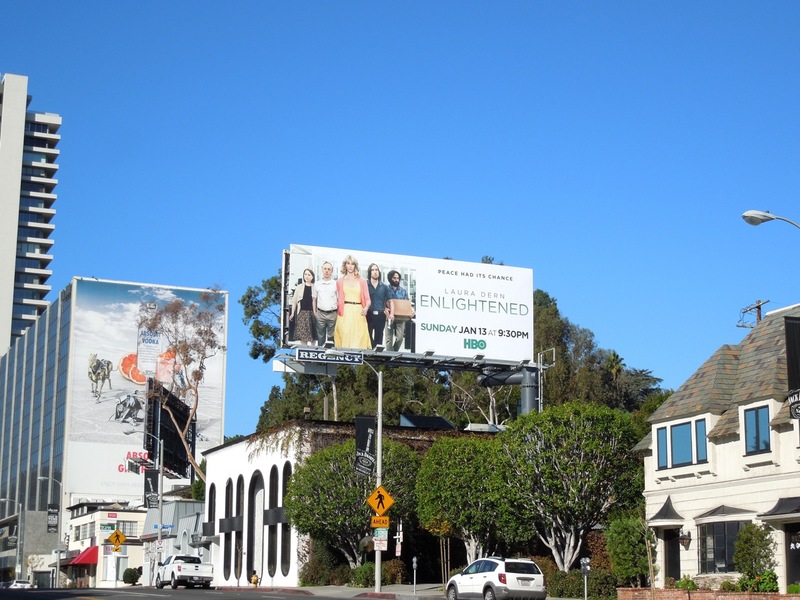 UPDATED: This quirky show also gets a giant-sized billboard for its sophomore season. 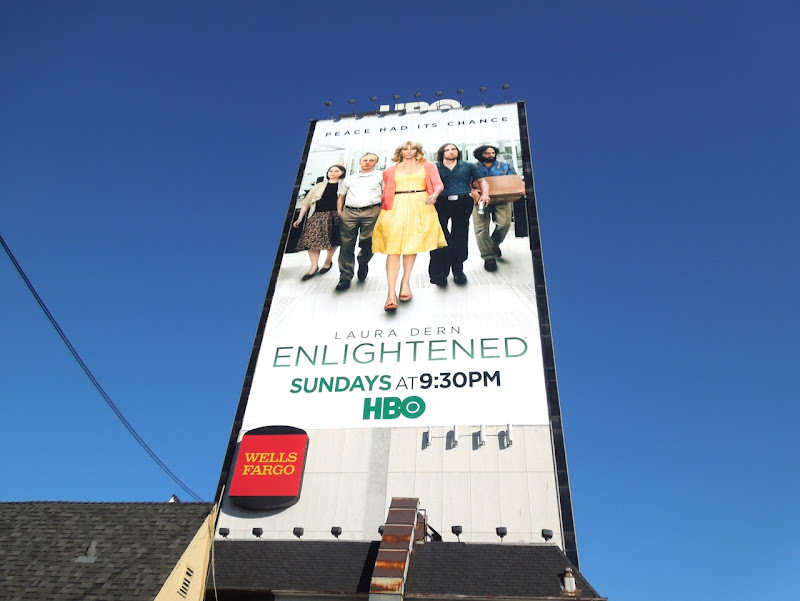 This towering creative was snapped along L.A.'s Sunset Strip on January 26, 2013. 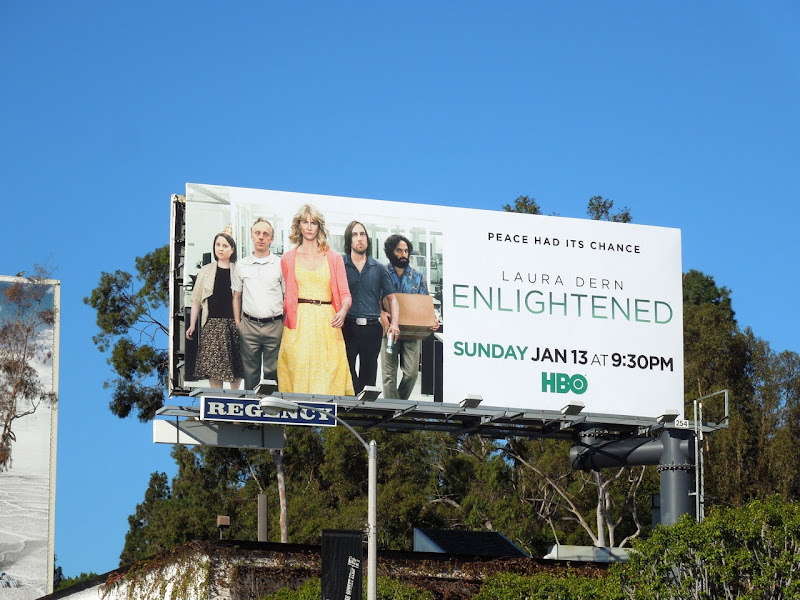 UPDATED: Even though Enlightened has been cancelled after two seasons, there's still time for the critically-acclaimed series to win a few more awards (Laura Dern already won a Golden Globe for Best Actress in a Comedy Series last year). 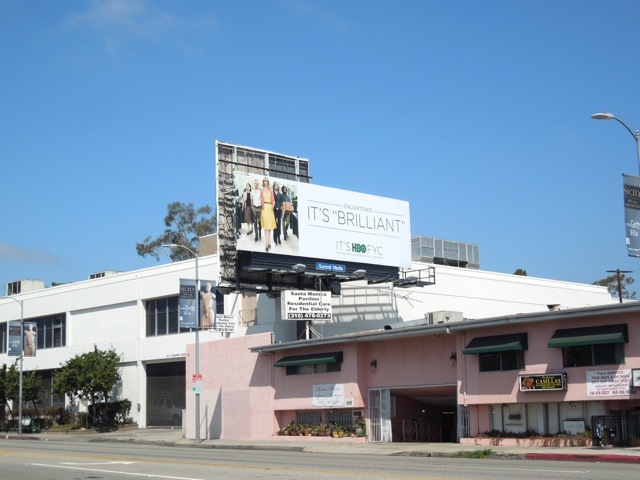 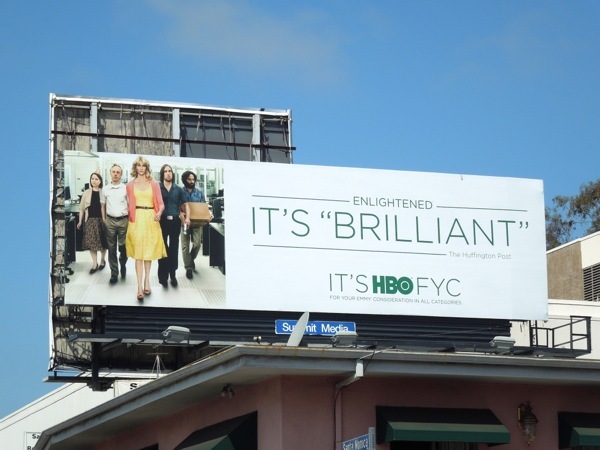 Here's the show's 'brilliant' Emmy Consideration billboard spied along Santa Monica Boulevard on June 16, 2013.